A law firm in Evesham, New Jersey is fuming at the fact that the Subway “Footlong” settlement was thrown out. DeNittis Osefchen Prince P.C. of Evesham was expected to share in a $520,000 payment by the restaurant chain, a sum intended to settle a class-action lawsuit over the actual length of Subway’s six- and 12-inch sandwiches. But a federal appeals court in Chicago has rejected the deal, saying it would have enriched attorneys while doing nothing for most Subway customers. 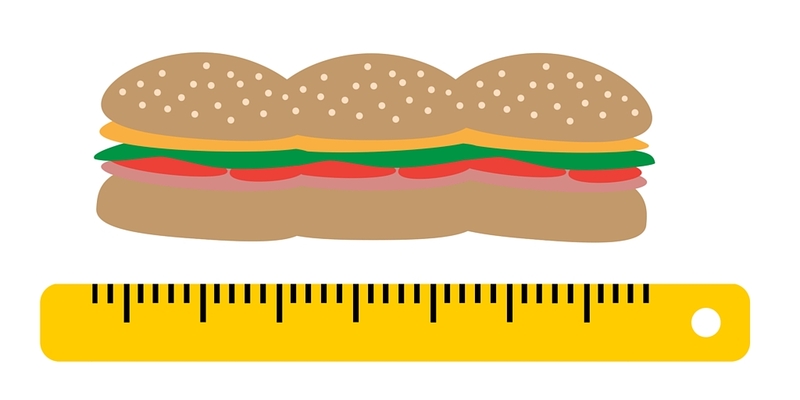 The suit filed by the attorneys at DeNittis Osefchen Prince, was the first of eight similar lawsuits that were filed after a photo showing a sandwich measuring only 11 inches went viral. All the suits were eventually consolidated as multi-district litigation in the Eastern District of Wisconsin. Plaintiff counsel soon realized their claim for damages had no merit since Subway’s bread dough is apportioned by weight, and standardized fillings means no consumer was deprived of any food. So, they shifted from a claim for damages to a claim for injunctive relief, and Subway agreed to a settlement, promising to implement the same quality control measures that were already in place, and to pay class counsel $520,000. Ted Frank, the founder and director of the Competitive Enterprise Institute’s Center for Class Action Fairness, objected to the settlement, arguing that the class had received nothing and their attorneys were the only beneficiaries of the deal. The district judge nevertheless approved settlement. The race to be first to the courthouse to file even meritless lawsuits exists because there is no penalty for being incorrect – the Subway suit demonstrates that even when that claim turns out to be meritless, the attorneys will still walk away with good chunk of money, absent an objection. Unfortunately for them, work put into a worthless project doesn’t turn a sow’s ear into a silk purse. 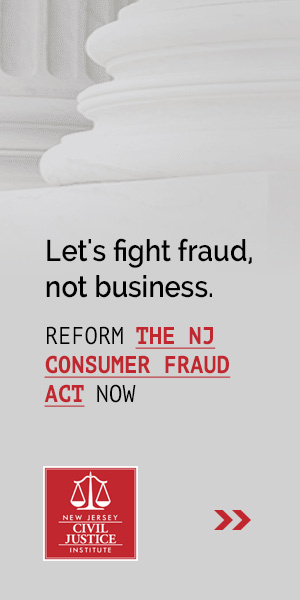 The New Jersey Civil Justice Institute supports Frank’s effort to create a bright line rule that will discourage class action abuse and inspire courts to toss sham settlements. Businesses should only be forced to pay out when they have done something wrong, not be punished for having deep pockets. A selection of the need-to-know civil justice news for the week of April 22-28. The New Jersey Supreme Court [has agreed] to determine if a consumer is considered aggrieved if they’ve entered into an unlawful contract, but haven’t actually incurred damages, in order to better prepare the Third Circuit to consider putative class actions involving consumer protection claims. West Virginia’s top court imposed a two-year suspension on a lawyer who submitted bills for court-appointed work for more than 24 hours a day on two different occasions. It’s obvious from a ruling Monday by U.S. District Judge Charles Breyer of San Francisco that the judge does not think owners of Volkswagen “clean diesel” cars needed individual counsel. The judge denied motions by 244 plaintiffs’ lawyers who wanted VW to pay them for the time they spent drafting filings for individual car owners, suggesting edits to classwide filings and advising their clients about developments in the case, including advice about whether to participate in the $10 billion class action settlement. An article in the latest edition of the business newspaper NJBIZ highlights a disagreement between lawyers that has delayed an important change to our civil justice system for nearly a decade. As the article explains, plaintiffs’ attorneys have protested attempts by the New Jersey State Bar Association and other non-legal professional associations to standardize the statute of limitations in professional malpractice cases. The State Bar and other professional organizations want to make the statute of limitations for all sorts of professional malpractice cases two years. Right now the length of time one has to sue a professional varies by industry. Plaintiffs’ attorneys argue that shortening the statute of limitations will prevent people from seeking justice, but at the same time they also claim, somewhat incongruously, that changing the law will result in more frivolous suits being filed. The discovery rule makes it so that, if a person was not aware that he or she had a cause for a malpractice claim, the statute of limitations is not imposed until the person could have reasonably discovered it. As the bill is written, the rule still applies with the shorter statute of limitations. “Two years is ample, considering that,” Rayner said. Rayner also pointed out that lawyers in New Jersey are much more likely than those in other states to file a claim with a malpractice insurer. He believes the longer statute of limitations contributes to New Jersey’s excessive malpractice litigation. New York and Pennsylvania have three-year and two-year statutes of limitations, respectively, for claims based in tort. Both states apply the discovery rule as well. When measured in terms of malpractice insurance, the impact of this is that New Jersey’s rates are anywhere from 46 to 69 percent above those in New York, depending on the size of the firm, according to the bar association. Compared with Pennsylvania, New Jersey’s insurance rates range from 17 to 40 percent higher. In short, supporters make the case that getting this legislation enacted after an almost decade-long fight for it would make malpractice insurance more affordable for small professional service firms with already-limited resources. NJCJI will continue to work with the State Bar Association and other professional organizations to advocate for reasonable statute of limitations. People who have worked hard to earn a professional degree should not be priced out of the market because a certain class of attorneys wants to protect their bottom line. Click here to read the full article in NJBIZ (subscription required). Click here to learn more about how NJCJI is working to make sure our state’s statutes of limitations are reasonable. A selection of the need-to-know civil justice news for the week of October 29-November 4. A Gulfport attorney who said he choked on a piece of Popeyes’ fried chicken last year believes a plastic knife could have prevented all his pain and suffering. Now he’s suing to get plastic knives included in all drive-thru orders and monetary compensation for himself. The disability lawsuits started hitting the Pittsburgh federal courthouse last July, all claiming corporations’ websites violated the law by not being accessible to the blind. The first round came against household names such as Foot Locker Inc., Toys “R” Us, Brooks Brothers Group Inc., and the National Basketball Association. Later suits targeted lesser-known retailers including Family Video Movie Club Inc. and Rue21 Inc.
Jon Tester didn’t come all the way from Montana for the scrambled eggs and bacon. The US senator, virtually unknown in Boston, was in a conference room at the Thornton Law Firm that June morning to cash in at one of the most reliable stops on the Democratic fund-raising circuit, a law firm that pours millions into the coffers of the party and its politicians. Tester, a massive, jovial man who raises livestock on his family farm, was more compelling than many of the other breakfast guests, all of them political candidates the firm hoped would defend the interests of trial attorneys. But the drill was basically the same. The personal injury lawyers listened politely for a few minutes, then returned to their offices. And Tester walked away with $26,400 in checks. A New Jersey attorney asked the Third Circuit on Friday to rethink frivolous-appeal sanctions it affirmed after it dismissed the pro se class action he’d filed over fish-oil supplements, arguing that his case was ripe for reconsideration because the appeals court adopted different reasoning than the district court. In large cities across the country, court challenges can be a drain on municipal coffers. To gauge the fiscal impact of claims and lawsuits, Governing requested financial data from the two dozen largest cities in the U.S., the first such national review of comprehensive legal costs. Twenty cities responded, and their combined financial information paints a picture of just how significant these claims costs can be. All totaled, the cities paid out more than $1.2 billion in their last fiscal year.